The leading conference dedicated to enterprise and institutional applications of Distributed Ledger Technology (DLT), blockchain and smart contracts within financial services. 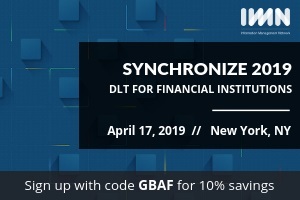 For more information, or to register, please visit www.imn.org/synchronize. Register with code GBAF for 10% savings.